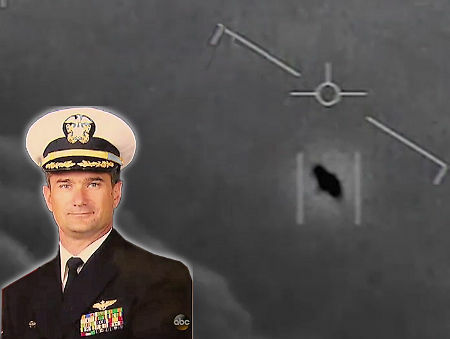 “They [the UFO] actively tried to jam the radar. radar, with returns descending from far above the radar’s scan volume – somewhere higher than 80,000 ft. The targets would drop from above 80,000 ft to hover roughly 50 ft above the water in a matter of seconds. An impossibly fast rate of decent. And from what I’ve been told, at ICBM trajectories. On the 14th, Cmdr. Fravor launched with his WSO (Weapons & Sensors Officer), into the clear blue sky. Their Call Sign was FASTEAGLE 01. Cmdr. Fravor was flying a F/A-18F Super Hornet when he received vectors to an unknown contact.